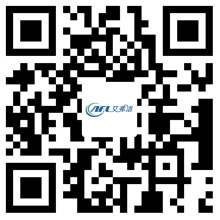 Try to Repair the Fan Motor - Hangzhou Airflow Electric Appliances Co.,Ltd. When we need it, you may find yourself going to handle the fan motor. Fortunately, this is a maintenance that can be done by non-professionals. Make sure the problem is a motor that needs to be replaced. First turn off the AC power supply. Then manually try rotating the fan blades. If the blade is not free to rotate, replace the motor. Once you are ready to install a universal fan motor, first turn off all AC power through the circuit breaker box to prevent safety. It is very important that you do not skip this step. Before removing anything, please note the wiring of the motor (wiring color, connection method, etc.). The fans and motors can now be disassembled, which is usually done by removing the bolts on the fixed motor's tape. In some units, these bolts are actually connected directly to the motor. Now remove the fan blades. Before doing so, please note the position of the blade on the shaft. Loosen the screw and remove the blade from the motor shaft by twisting and tightening. Once the old unit comes out, to install the new unit, just reverse the process. Be extra careful when reinstalling fan blades. Make sure that the blade is centered on the fan motor's opening. If the motor burns out due to aging or poor maintenance, the technician will have to replace it for you. It is important to leave it to the expert because the replacement motor must have the appropriate RPM rating. The fan motor is similar to the car engine and requires a belt to turn the fan. If the motor fails, it may damage the belt. If the belt is loose, the technician will usually harden the belt tightly. If the belt has been broken, it needs to be replaced. A common cause of motor failure is the generation of debris that disturbs its moving parts. Dirt can not normally enter the cabinet, but due to clogging or breaking the air filter may occur. The technician needs to clean the fan motor, or it may need to clean the fan and its surrounding area, and the air filter also needs to be replaced.